Get a Berlinger Haus culinary set. 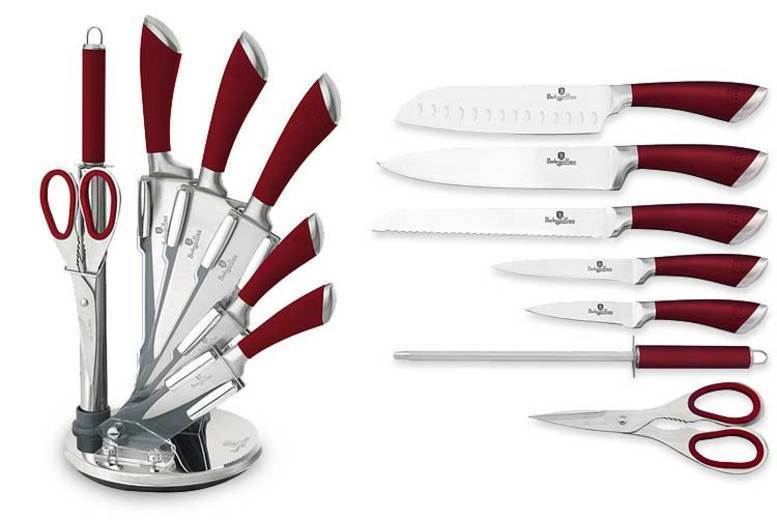 Includes five knives in a range of sizes (see full details). You’ll also get a pair of scissors and a knife sharpener! And a stylish acrylic stand. Made with laser cut stainless steel. The perfect way to keep your kitchen organised!